Don't toss an onion just because it has started to sprout. 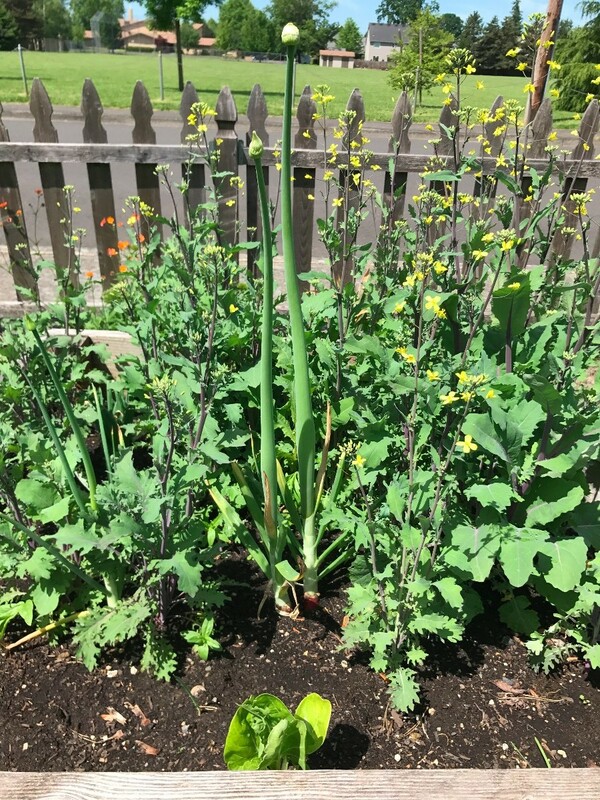 Plant it in your garden for some fresh onion leaves. 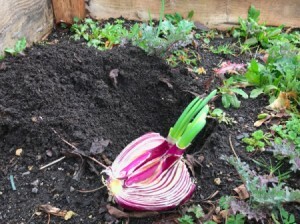 This is a guide about planting a sprouting onion. It's spring and even the veggies in my kitchen know it. I have had potatoes sprout before I can use them up and bags of carrots all fuzzy with roots. This is half a red onion that I forgot in my crisper drawer. 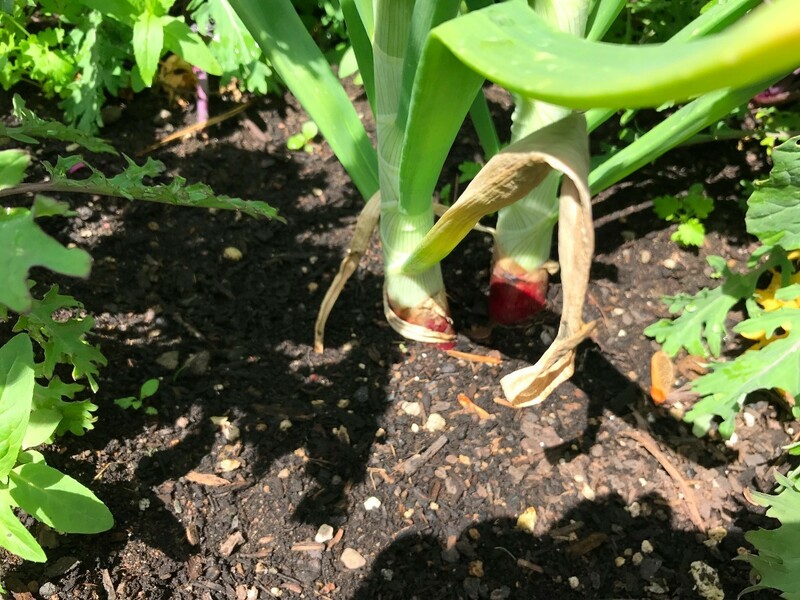 Usually, it would just get soft and rotten before I tossed it, but this tenacious onion started growing green shoots. 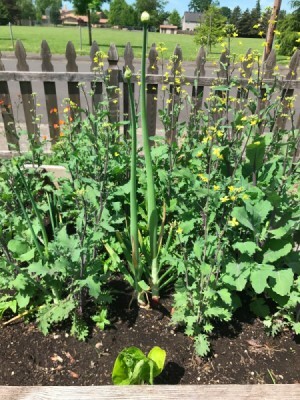 I planted it in my vegetable garden bed, with my overwintered kale. I just placed it so the bulk of the onion was below the greens, sort of at an angle because it was growing sideways. I covered it with dirt until just the green tops were showing. It is growing fast, I will try to post another picture of its progress. I love to save my "forgotten" also and I believe I watch/baby these more closely than my regular plants. Maybe it is just another form of loving to see new growth from what would generally be deemed garbage. Nice photos and keep us posted. Here is my red onion now. 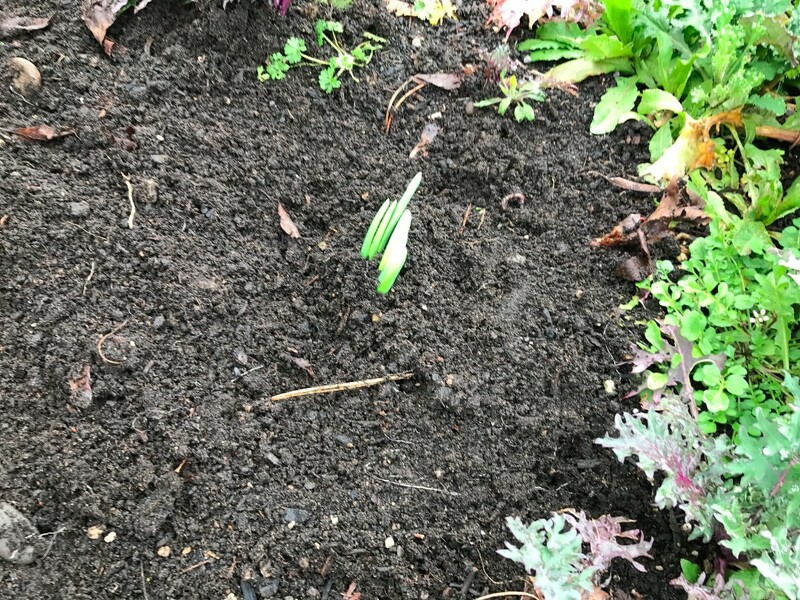 I planted it on March 4th, about 6 weeks ago. 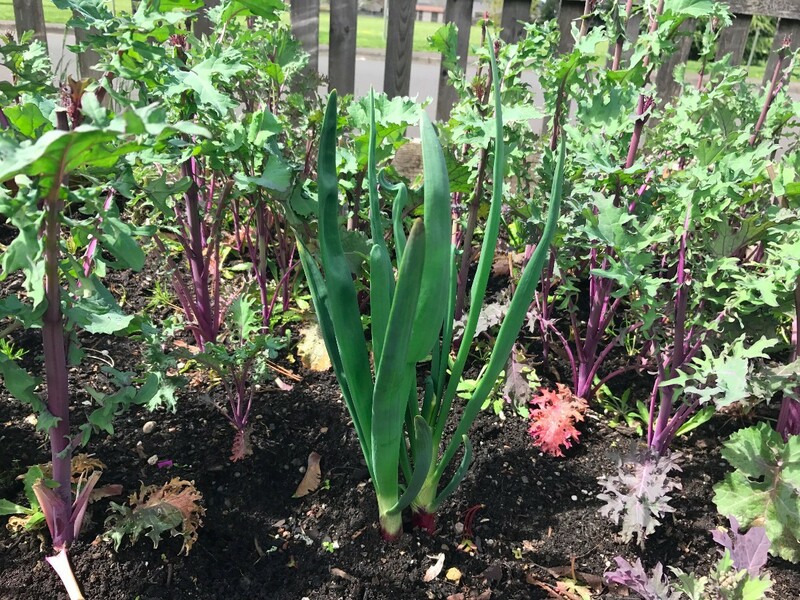 It it growing fast, as are the kale and other plants in the bed. Here are pictures I took on May 22nd. 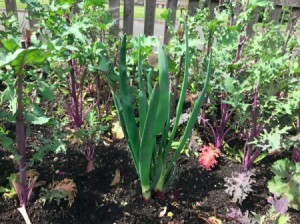 It's even bigger now and I anticipate I will get 2 large red onions at the end. I will post one more set when I harvest it, as soon as it is finished flowering.